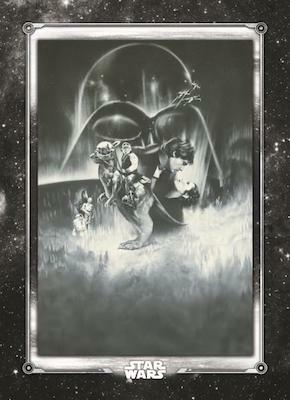 2019 Topps Star Wars Empire Strikes Back Black & White moves to the second film in the legendary trilogy. Although multiple Star Wars sets have been issued over the years, the Black & White line highlights captivating photography while using a minimalistic design. The follow-up to the 2018 release for Episode IV (a.k.a. 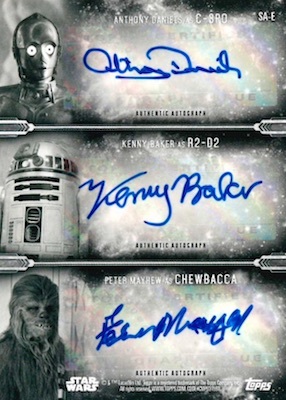 A New Hope), each box of the Hobby-only set has one autograph or sketch card. 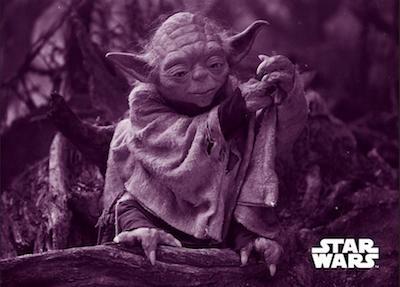 The base checklist in 2019 Topps Star Wars Empire Strikes Back Black & White features 150 cards without color. However, the parallels supply a little extra variety with Sepia (1 per pack), Blue Hue Shift (1:4 packs), Green Hue Shift (#/99), Purple Hue Shift (#/25), Red Hue Shift (#/10), Orange Hue Shift (#/5), which is new, and the one-of-one Metal. There are also four inserts that combine to average one per pack. 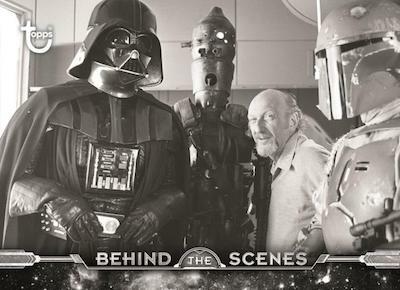 Behind the Scenes peels back the curtain for Jedi fans, while Concept Art looks at some of the earliest ideas for Star Wars: Episode V – The Empire Strikes Back. In addition, Iconic Characters highlights the key subjects and Posters revisits the original movie posters in a framed design. 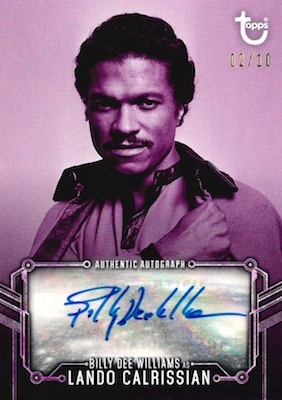 Acting as the main hit in each Hobby box, collectors can expect one Autograph or Sketch card. 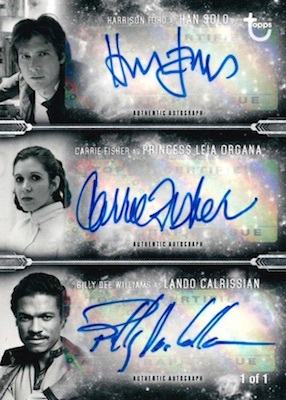 The 2019 Topps Star Wars Empire Strikes Back Black & White checklist offers Blue Hue Shift (#/99), Green Hue Shift (#/25), Purple Hue Shift (#/10), Orange Hue Shift (#/5), and Red Hue Shift (1/1) parallels for the autographs, as well. There are also limited Dual Autograph, Triple Autograph and Six-Person Autograph (1/1) options. JEREMY BULLOCH as BOBA FETT 93 99 AUTO! 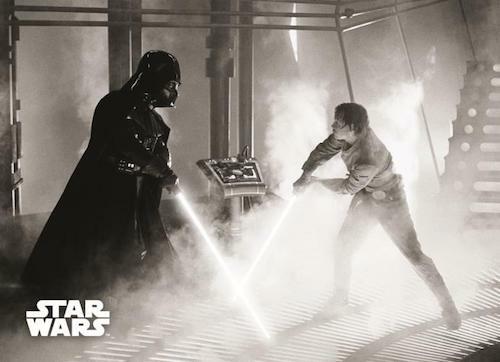 Star Wars ESB Black & White Blue Hue! Buy 2019 Star Wars ESB Black & White boxes directly from Topps. PARALLEL CARDS: Sepia (1 per pack), Blue Hue Shift (1:4 packs), Green Hue Shift #/99, Purple Hue Shift #/25, Red Hue Shift #/10, Orange Hue Shift #/5, Metal 1/1. Buy 2019 Star Wars ESB Black & White Autographs on eBay. PARALLEL CARDS: Blue Hue Shift #/99, Green Hue Shift #/25, Purple Hue Shift #/10, Orange Hue Shift #/5, Red Hue Shift 1/1.